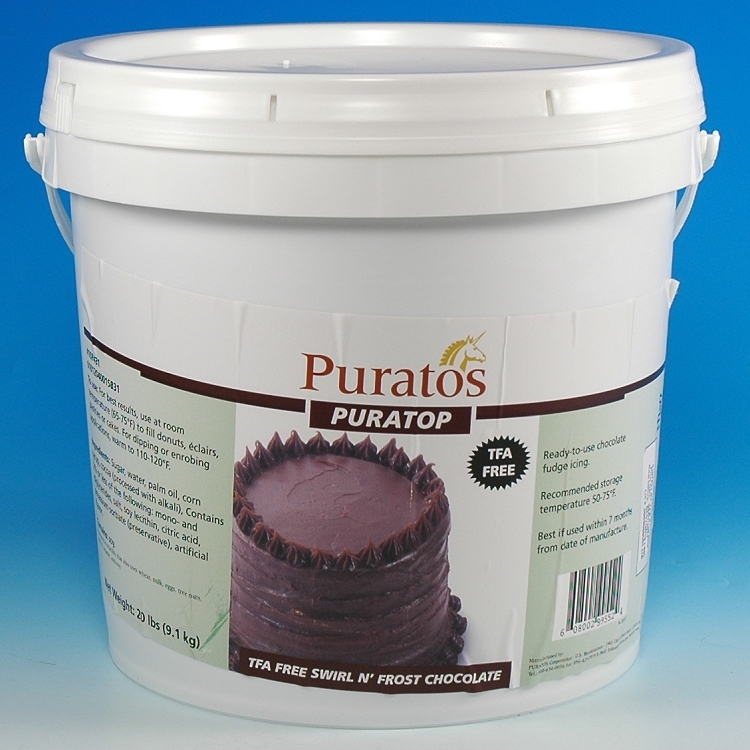 Swirl N' Frost Chocolate Fudge Icing, is a ready-to-spread chocolate fudge frosting. High gloss fudge frosting with a smooth texture. For best results, use at room temperature 65-75°F to fill donuts, eclairs, pastries and cakes.